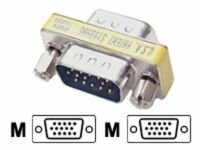 Whether you are hoping to improve your computer's transfer speeds or seeking a way to connect a hard drive to the rest of a desktop, IDE, SATA and floppy cables can prove an effective purchase. You'll find a wide selection of products available at Ebuyer.com, so there should be something suitable for your specific needs. At Ebuyer.com, you'll find high-quality cables from leading brands such as Hewlett Packard and Cables to Go that will boost your PC's performance. If you're looking for SATA cables, Startech produces a range of cables designed to reduce power consumption while at the same time increasing airflow and transfer speed. For example the Startech Serial ATA SATA Drive Connection Cable. Alternatively, Startech also produce IDE cables. Buy a 36-inch Dual Drive IDE Cable and you'll be able to connect a master and slave device together, while enabling your computer's cooling system to work more efficiently. Once your desktop PC is set up, you need to organise your monitor. Take a look at our deals on Monitor cables and accessories.